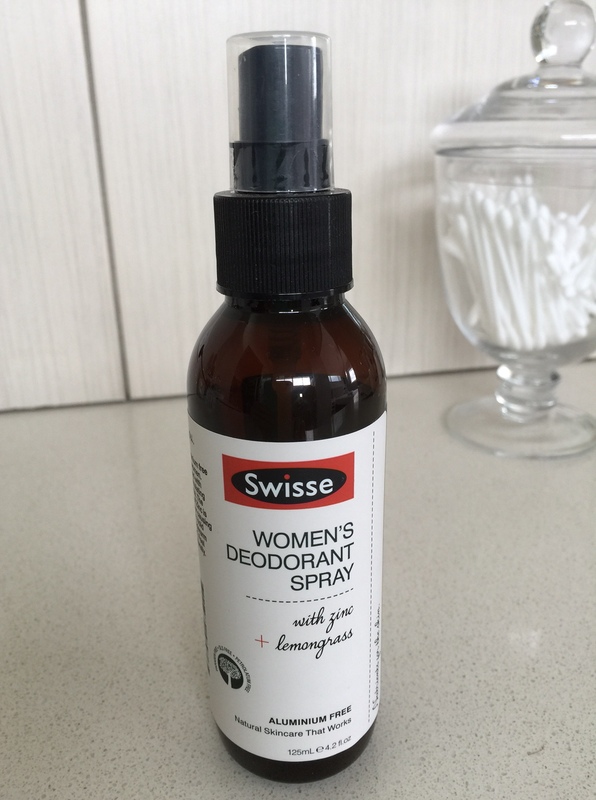 Swisse Women’s Deodorant Spray – both cruelty and aluminium free! Finding a suitable deodorant has been one of the biggest challenges since deciding to commit 100% to using only cruelty-free products. I started the search with MooGoo Fresh Cream Deodorant, which I rated fairly well – but it just didn’t quite cut the mark when faced with the intensity of a Queensland summer. Sub tropical climates demand just a little more – especially when your day job is in a corporate environment. At the time I was trialing the MooGoo deodorant my husband was actually using the Swisse men’s deodorant, which he raved about. In his opinion it is the best deodorant ever made – so I figured I should give the women’s version a go. At $14.95 it wasn’t a cheap purchase but at 125ml it is nearly double the size of most standard roll out deodorants. The big plus of this product is that – as well as being free form parabens, mineral oils, PEGS, animal products and testing and all other nasties – it is also aluminium free. They claim that the zinc in the deodorant instead provides antibacterial activity against odour causing bacteria. In reality, much like the MooGoo Fresh Cream Deodorant I found that the Swisse Women’s Deodorant worked ‘ok’ on mild temperature days – but didn’t hold up as soon as the temperature started to rise, or if I was exercising. It’s a shame – but this is not the product for me (still need something that will keep up with the Queensland climate) so I’ll keep looking. Sugar-Free Nutella Recipe – interesting, but receives a thumbs down from the kindergarten critics!